We’re living in a 3D world. So why stick to flat design? Isometric design, the latest design trend gives you the best of both: a 3D design in which there are no converging perspective lines. So let’s get you ahead of the curve so you can be the first on your block to have this dynamic technique. 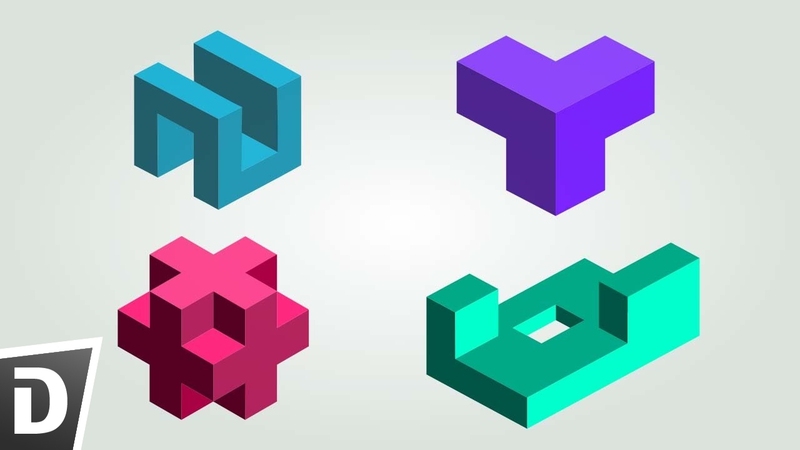 Put on your 3D glasses, because the ins and outs of isometric design are coming your way. Why is isometric design trending? Like social media, isometric designs give you more perspectives on a subject. Being able to see the side and top of design makes folks want to know more about it. 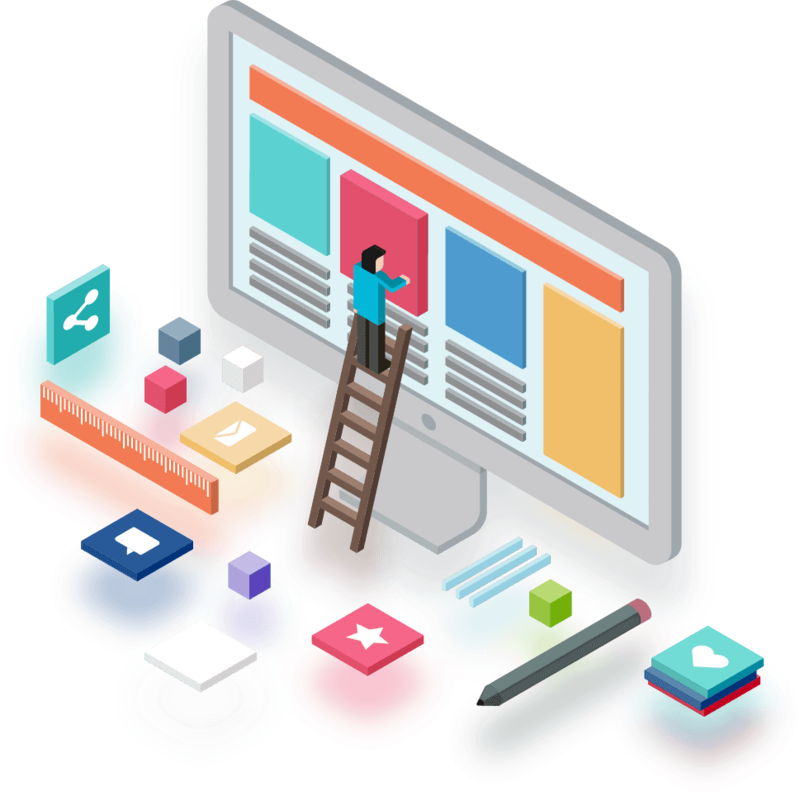 Especially for businesses who give their customers more options, or whose product or service looks excellent in 3D, isometric designs are the perfect visual metaphor. The isometric technique also allows you to show more details with less clutter. Having the ability to display space in 3D opens up nooks and crannies previously unavailable. There’s more space to put things in. The isometric design is a natural evolution out of a flat design that retained its simplicity, but also added some new depth. The isometric design is an exclusive club. Lots of pseudo-isometric designs are masquerading as the real deal. Don’t be fooled by them. It’s only isometric if there’s a 120° angle between the X, Y, and Z-axes. Isometric design cube shows that if it is not 120°, it is not isometric. Isometric style differs from how our eyes perceive things. Look down the street: the parallel lines receding into the distance converge into a vanishing point. This doesn’t happen with isometrics. There are no converging lines, and things appear as they are, rather than as we wacky humans see them. Since you can do way more tricks in three dimensions than in two, it’s tempting to throw in everything but the kitchen sink. However, remember, just because you can do something doesn’t necessarily mean you should. When bombarded with too much information, users can quickly become confused and be turned off. Isometric icons are a booming category of isometric design. This technique increases the visual appeal of an icon. The chances of your customer squinting their eyes and saying, “What’s that?” is less if your icon has 3D structure and depth. Traditional 2D maps view an area from the top. However, what if you’re going to see the front? Or a side? Tough luck. If only there were a way, there is isometric design! You can show an entire neighbourhood in an easily digestible way with Isometric design. Also, we’re not just talking buildings, bodies of water, and streets. Automobiles, trees, billboards, park benches, people, heck, even doggies can be depicted and understood at a glance. Isometric designs might be trending now, but, there’s an evergreen appeal to seeing objects with shape and depth. Back in 1988, comic books illustrators figured out how to draw with more depth than ever before, and they’ve never gone back. Why? Because it’s cooler when Spider Man’s web is coming right! Because they’re typically so tiny, icons should be as simple as possible. However, that doesn’t mean they can’t also have structure and depth. Especially among the vision impaired and more spatially aware people, being able to see the side and top of an icon can make it more user-friendly. Viewers won’t have to strain their eyes as much and can be more efficient in interacting with their device. Also, since we’re so used to seeing flat icons, an isometric icon will pop out and grab a user’s attention. Combine the isometric technique with a bold or high-contrast colour scheme, and you’ve got a real head-turner. The isometric design is a great way to go if you want to do something clever with your logo. The simple cylindrical/square motifs lend themselves to being seen in front, side, and top views. 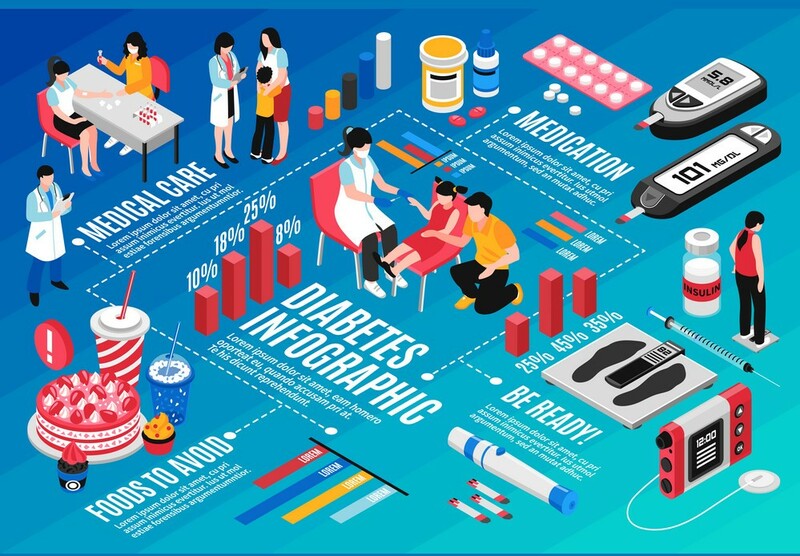 With isometric infographics, not only do we quickly understand how an office operates, but the isometric technique gives us a feel for the office space itself. Alternatively, take a look at these examples. Oral surgery is nerve-wracking enough as it is. The last thing you need is to get confused about where to park before going under the knife. This isometric design leaves nothing to the imagination and is easy to memorise. Cutting edge businesses and designers should strongly consider using isometrics. It’s a way of visually showing your values without having to write them down. This indicates that your brand goes all the way with its philosophy and communicates that you are an authentic outfit. A cool psychological benefit of the isometric style is that it mentally places the customer above your product or service. If you’re looking at something head-on, you feel on the same level as it. However, the high angle provided by the isometric technique makes your audience think in charge because they can look down on the subject, similar to the way a bird of prey does. Now that you’ve seen the inner workings of isometric technique, it’s time to get ahead of the game and create your isometric design!